REMEMBERING BRAVERY AND SACRIFICE Once again we celebrate Veterans Day - a day when we should pause to remember the men and women who have served our country with pride and valor, both during times of war and in peace time. 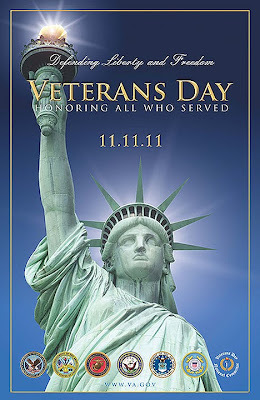 This link may help you understand this holiday. And, if you need a little more information, this short video clip from the History Channel will help you understand what this day is all about - it's not just another day off from work. For the past several years I've written about this holiday around this time of the year. Here are links to what I wrote in 2007, 2008 and 2009. There are other links on some of those sites and I hope what you read and see there will help you appreciate the sacrifices made for our freedoms. Finally, this video clip will give you some current perspective on this day. Take some time out to tell a veteran "Thank You" over this weekend. Thank you for posting some great videos! 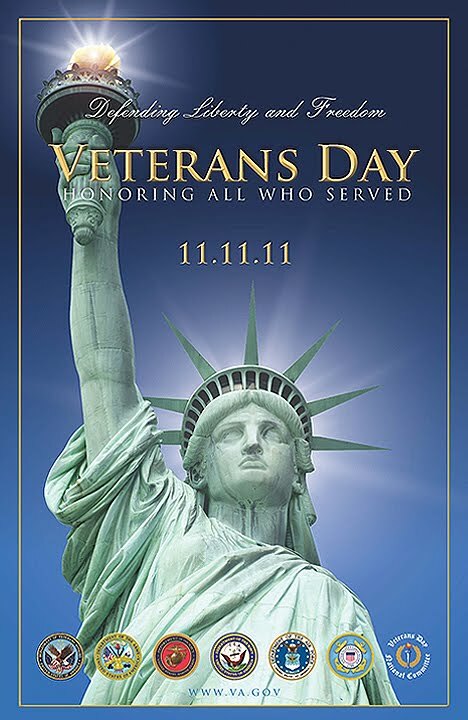 Thank you for your service to our country in the United States Army - Happy Veterans Day! well, a couple of days late, but thank you for the historical and current perspectives on Veterans Day, for yours and all the other's service to our country.